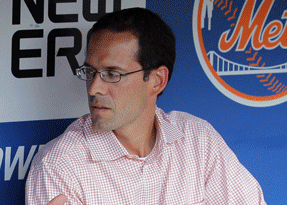 Paul Depodesta was born on December 16th, 1972 in Alexandria, Virginia. Depodesta attended Harvard University, where he played baseball as well as football, while earning a degree in Economics. In 1996 he got his first job in MLB, scouting for the Cleveland Indians. After three years there he joined the Oakland Athletics as a special assistant to General Manager; Billy Beane. Depodesta assisted Beane with the use of a saber metric approach to putting together a successful team, on a low budget in a small MLB market. Depodesta's Economic degree certainly played a big part in this style. The Oakland A's made the playoffs in four of the five years Depodesta was with the Beane in Oakland. The book & film; Moneyball was based on the Oakland A's approach to this methods. Depodesta did not approve of the way his character was portrayed in the film & did not want his name associated with the movie. His role was removed and a fictional character "Peter Brand" was created. That character was played by Jonah Hill & was nominated for an Acadamey Award for Best Supporting Actor. Quotes: "I just could never get comfortable with the idea of somebody else portraying me to the rest of the world. It’s very unnerving, and it was something that wasn’t going to go away. That was always in my mind. Like any movie, to make it interesting, there has to be some conflict there. In some respects, a lot of the conflict is going to revolve around my character, and that was never really the case in reality." 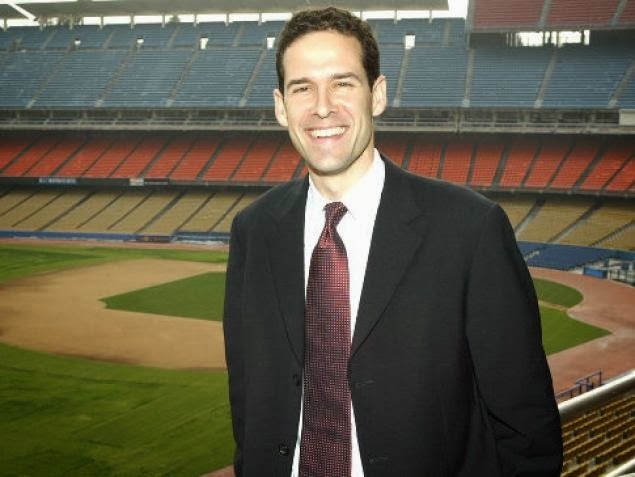 In 2004 at the age of just 31, Depodesta was named general manager of the Los Angeles Dodgers. At that time he became the fifth youngest GM in MLB history. He brought his controversial saber metric style to Los Angeles and was criticized for many moves made during the 2004 season. At the trade deadline he sent the popular Paul LoDuca, Juan Encarnacion & Guillermo Mota to the Florida Marlins for Brad Penny, Hee Seop Choi & Bill Murphy. The Dodgers made the playoffs but lost in the NLDS to the St. Louis Cardinals. In his time in L.A. he was never known to get along well with Tommy Lasorda. After the 2004 season Adrian Beltre who had hit 48 HRs signed with Seattle who offered him four more million dollars than DePodesta did. He went out to sign Derek Lowe, Jeff Kent who were both successful in L.A. & JD Drew. But in 2005 many of the teams key players went down with injury & the Dodgers finished 71-91, their worst record since moving to Los Angeles in 1958. Dodgers owner Frank McCourt fired Depodesta saying he wanted the team to win. Other reports stated that ownership was not happy with Manager Jim Tracy or DePodesta's failure to find a replacement. In 2006 he was hired by the San Diego Padres as Special Assistant of Baseball Operations getting promoted to Executive Vice President in 2009. 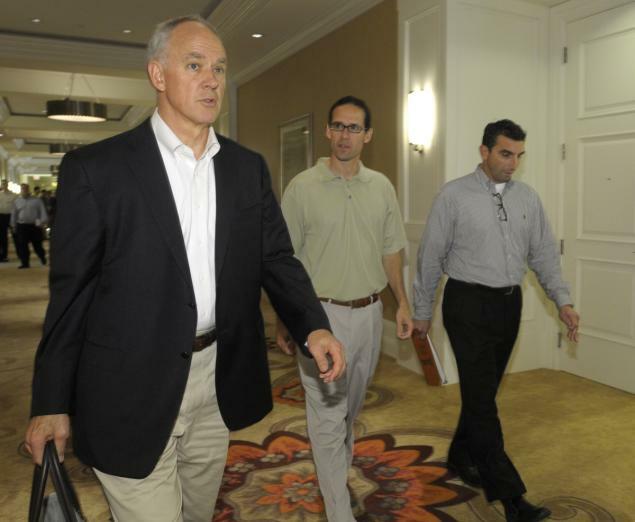 There he worked with Sandy Alderson & the two formed a good relationship. After two seasons there he was hired by the New York Mets as the Vice President of Player Development & Scouting for 2011, under Sandy Alderson once again. The Mets began to develop some fine young players in the Alderson/ Depodesta era, especially in the pitching department. The team had not had a winning season going into the 2015 season & their were high expectations for the organization. It was basically do or die. In 2015 the Mets all came together, the young staff of Matt Harvey, Jacob deGrom, Noah Syndergaard, Steven Matz & Jeurys Familia were one of baseballs best. While other young players like Michael Conforto, Wilmer Flores, Kevin Plawecki & Travis d'Arnaud contributed offensively. The Mets shocked everyone by winning the NL East, the NLDS, then sweeping the Chicago Cubs to get to the World Series. The NL Champs fell short losing the World Series. 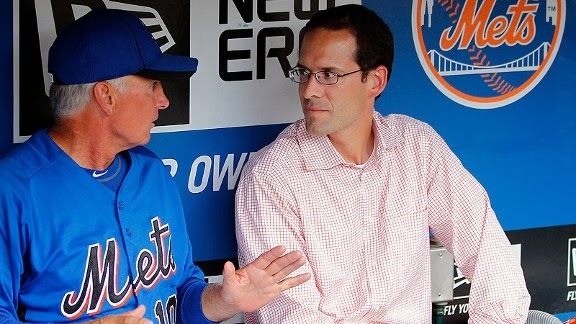 DePodesta would spend five years with the Mets. 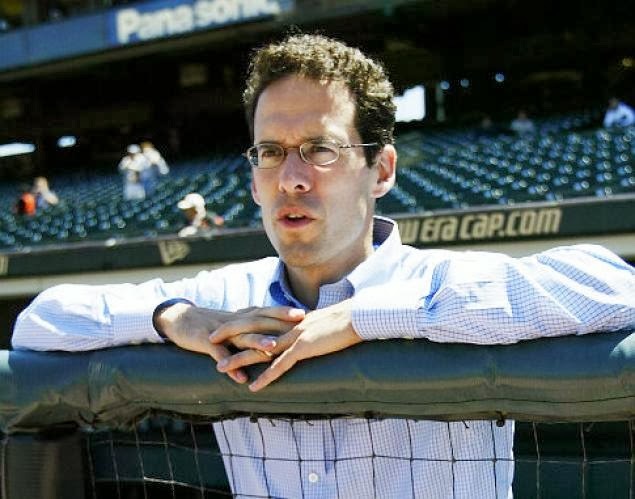 In January 2016, the sports world was shocked as DePodesta was hired away from the Mets by the NFL's Cleveland Browns to be their Chief Strategy Officer. 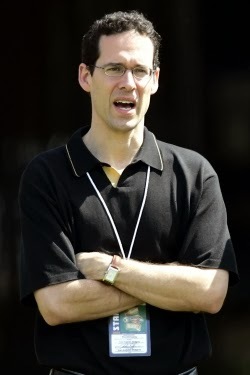 DePodesta will be responsible for assessing and implementing the best strategies to provide the Browns their best opportunities to win. Depodesta is married & has four children. He is on the Board of Directors of Sears Holding Corp. & has been a successful keynote speaker. Trivia: While still in his thirties, Fortune Magazine had named him "One of the Top Ten Innovators" under age 40.